Single Value Visualizations, also known as Big Number Charts, display a single value like total sales, or highest sales volume. They are a great way to display key metrics on a dashboard. Choose the single value visualization icon to change the chart type. Add the data you want to visualize. You can create a total first or apply an aggregation directly within the Value box. 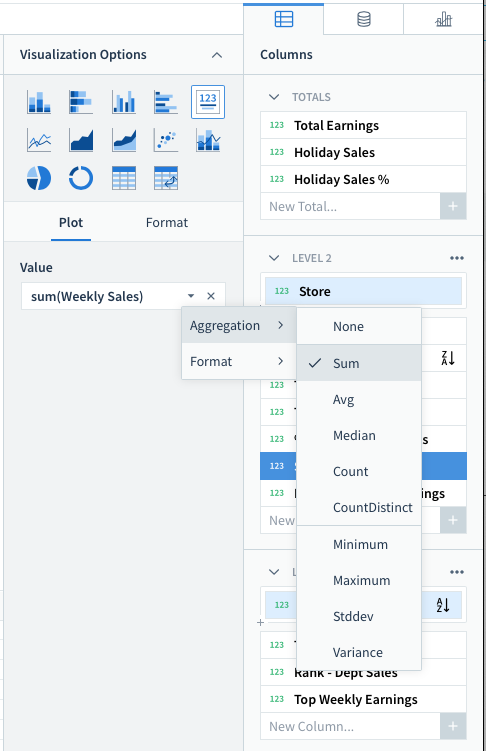 Simply drag the base value, then choose which aggregation to apply.